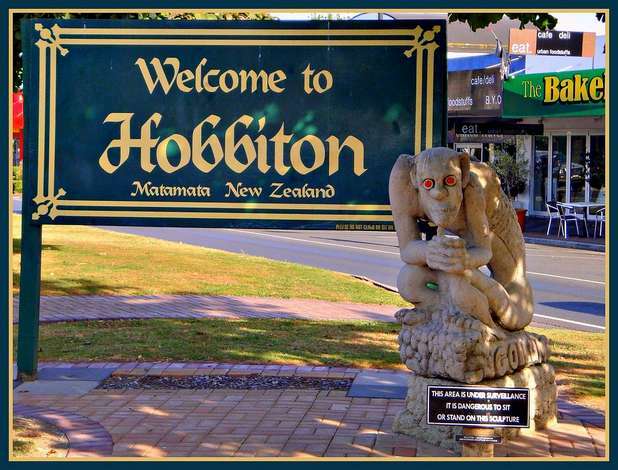 Today is a major day in New Zealand, the big chief walla-wallas of Warner Bros. have flown into the country to meet with our Prime Minister, in order to talk through options that will ensure the production of The Hobbit remains in New Zealand. Why the drastic measures? In a bone-headed move that has earned the ire of the nation, and other actors the union supposedly speaks on behalf of, the New Zealand Actors Union sent demands to the WB, that caused them to have doubts as to production being safely able to reach the serious deadlines now expected of it. How can you tell it earned the "ire of the nation" Yesterday - ironically on 'Labour Day', a public holiday in recognition of workers - thousands of people used their day-off to march in rallies as a show of support for Warners and Weta Workshop. Here is footage of the Wellington rally, home of and featuring speeches by the Weta folks themselves. I honestly do not know why the hobbit movie is having such a hard time just for it to be filmed..First with the on and off Green light now a rally..I will try not pay attention to any setbacks till i know for sure the movie is done. It sure does have a lot of red-tape just getting out of the gate IFF! As probably the biggest fictional work left unadapted, I hope the time pressures and hall the hands in the pot, still allow Weta the freedom to give it that LOTR polish and standard.